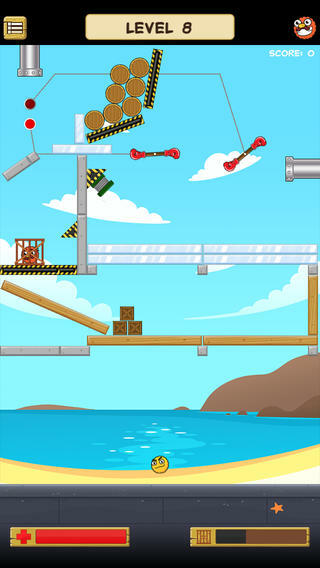 Fearless Bob is an iPhone game developed by Windgrass Games. If you dig physics puzzlers, this game is a must-play. 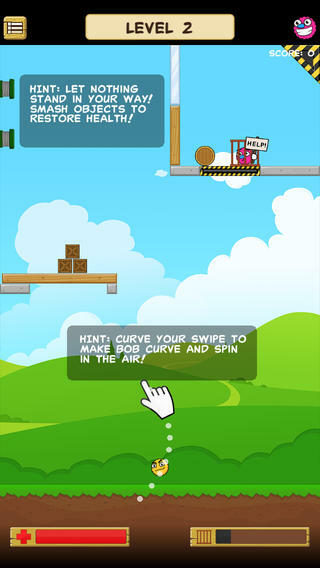 Fearless Bob is an arcade/action physics-based game. 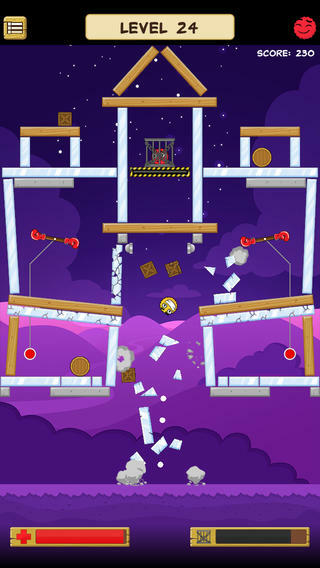 Spanning just thirty levels, this game is a bit on the short side. However, it’s also a great deal of fun. 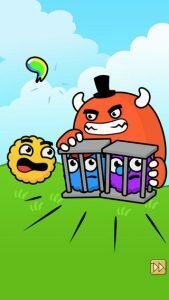 In Fearless Bob, you must rescue your friends from the clutches of an evil monster. There are all kinds of obstacles you’ll have to squeeze by in order to reach your goal, and every level is different. One thing that may frustrate some gamers is the fact that the completion of each level is required before advancing to the next level. This can be frustrating if you get stuck. However, because this game is on the short side, it’s kind of good that you can’t jump around too much. The controls are nicely calibrated, and quite simple to use. Basically, you just flick your finger. The developer notes that the breakable objects in the world (planks, barrels, crates etc.) have been programmed to shatter dynamically into pieces, which means the game will be a little bit different every time a level is played. I’m a huge fan of this genre of game, and Fearless Bob is a good example of what makes this genre so much fun. I think the graphics are a little simple, and the game itself is a bit on the short side. Overall, however, this game is still very much worth recommending. Fearless Bob requires iOS 5.1.0 or later. Compatible with iPhone 4, iPhone 4S, iPhone 5, iPhone 5c, iPhone 5s, iPad 2 Wi-Fi, iPad 2 Wi-Fi + 3G, iPad Wi-Fi (3rd generation), iPad Wi-Fi + Cellular (3rd generation), iPad Wi-Fi (4th generation), iPad Wi-Fi + Cellular (4th generation), iPad mini Wi-Fi, iPad mini Wi-Fi + Cellular, iPad Air, iPad Air Wi-Fi + Cellular, iPad mini with Retina display, iPad mini with Retina display Wi-Fi + Cellular, iPod touch (4th generation), and iPod touch (5th generation). This app is optimized for iPhone 5.